ARC 2017 posed some complicated tactical challenges for the fleet from the outset. On the day of the start a cold front to the west of the Canary Islands meant those contemplating the most direct route would encounter a period of headwinds and bad weather with a generally unstable and unpredictable airstream. Those thinking of heading further south to pick up the more reliable trade winds faced the prospect of having to cross an area of little or no wind before encountering favourable easterly trade winds at about the latitude of the Cape Verde Islands. The initial tracks of the yachts leaving Gran Canaria showed early on that there was no consensus amongst skippers and navigators. Initial headings taken by boats ranged from north-west to due south – and every point between. It soon became clear that those who chose to stay north of the rhumb line track were likely to encounter more wind than they had originally bargained for. The anticipated cold front matured into a full depression and left skippers with the unwelcome choice by day 3 of weathering impending near gale force headwinds or heading south, and fast, across a wide patch of no wind to avoid the worst of the weather. Those who stayed north prepared themselves for some unpleasant conditions. 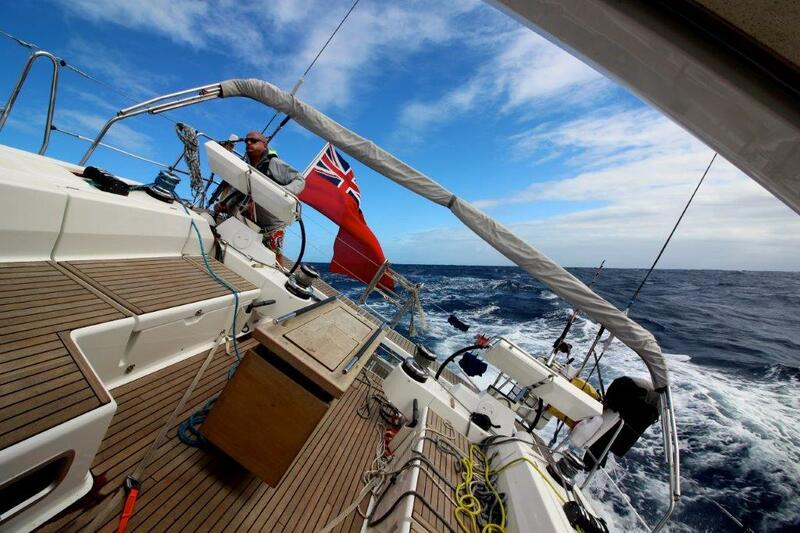 Yachts reported gusts of 50 knots westerly winds on the nose, big stopping seas and damaging conditions. The weather took its toll. One trimaran was dismasted, other yachts sustained damage to sails and rig and, on others, crewmen sustained minor injuries which required medical intervention. By day 4 a small number of yachts had already retired and were heading back to the Canary Islands. Those who remained in the north battened down and weathered the blow. Meanwhile further south the conditions were very different. In the middle of the course there was little wind to speak of but the depression further north was still causing confused seas. Several yachts used their engines to get south and found themselves needing more fuel before heading west into the Atlantic. Several put into the Cape Verde Islands to take additional fuel. The mid-section of the rally saw the worst of the conditions subside. In the north those who had endured the stormy conditions encountered an area of no wind which followed the depression. In the south the tradewinds provided more comfortable trade winds conditions but with wind strengths lighter than many might have wished. ARC 2017 was an event that required close attention to the forecasts, astute navigational judgements, and several key tactical decision points. In the end, the most favourable tactics for those seeking a competitive crossing seem to have been a hybrid of north and south – a more northerly track to start with a well timed duck south before the worst of the depression’s headwinds and stormy conditions. For those looking for the comforts of trade-wind passage-making in idyllic conditions the answer was the southerly option – following the traditional adage of heading south ‘til the butter melts, then due west for the Caribbean.